Whether you’re retiring from the military after 20+ years or transitioning out earlier, it’s critical to your civilian career that you do your research and be prepared for the cultural changes you will endure. Speaking with Jean South, CEO of Hire Served, a recruiting, hiring, and on-boarding military talent company, she offered seven tips for how you can prepare for the transition. Jean draws on her experience as a Marine Spouse, former FBI Agent and recruiter at McChrystal Group, founded by Gen. Stan McChrystal. We all want to believe our income will progressively increase throughout our employment. But when you change careers, that isn’t guaranteed. There’s a learning curve when transitioning from military service to civilian work. Accept that learning curve and know that within a short time, your leadership abilities will be recognized and you’ll have opportunities for advancement. 2) Learn to speak the language. Military culture and language are very different from the civilian side. At Hire Served, we work with companies to help them understand unique military skills and accomplishments, but it’s also vital for you to learn and understand corporate vernacular. Go beyond reading a business book and immerse yourself into the business world. Get on the phone with people in the private sector and learn about their jobs and attend networking events. Put yourself in the position to learn by participating. Don’t make any assumptions about the size organization, industry, or role you “should” go into. Different folks are suited to work in corporate America, while others are better at a small startup. Learn as much as you can about the kind of culture you’d fit in with the best. Speak with different people about civilian work options. Your “why” is the core belief that drives your behavior. If you’re serving that core belief, you will find fulfillment. Duty and service to country are why veterans served, but there is a deeper purpose that caused you to serve in the first place. Find that, and use that as your guide to help you find fulfillment in your next job. 5) Develop your personal brand. In this day and age, we all have a brand. We have an association that people think about when they hear our name or see our face. You can control your personal brand by the way you present yourself, how you show up to interviews, and what you say to describe yourself. But you must be thoughtful about it. Ask yourself, how do you want people to perceive you? Adjust what’s necessary. For example, as a former FBI Special Agent now working in a more customer service-facing industry, I’ve had to adjust my language to be more approachable. I don’t use overly formal language and jargon from my previous training and experience that doesn’t align with my business goals. I recommend that you read Your Next Mission: A personal branding guide for the military-to-civilian transition, by Lida Citroën. This book will be your guide to building your unique personal brand. I encourage all veterans to find a civilian mentor who can help you navigate through your new challenges or concerns. Mentorship no longer means the same person on base you have coffee with once a month. An organization called Veterati will set you up with free one-hour mentorship phone calls with professionals in your field or area of interest. There are many people who are willing to help you; you just need to reach out to make those connections. There are three types of professionals who will help you succeed in your military-to-civilian career transition. Career coaches will help you understand your personal branding and teach you how to articulate your goals and value to an organization. They will be your biggest cheerleader. Resume writers offer a variety of options tailored to your professional experience, industry, and career goals. Your resume is part of your personal brand and a necessary tool in the application process. Hiring managers spend less than 30 seconds looking at new resume, so you need to make a positive impression in a short period of time. If you’re looking for professional resume services, we recommend Sarah at Blue Ridge Resumes. Recruiters can either be internal (works for the company you’re applying to) or agency (who will place your resume in front of multiple employers). For veterans in transition, Hire Served offers both career coaching and recruiters. Our Pay-it-Forward career coaching program allows you to work through our program at no cost, but once the program leads you to career success, you’re encouraged to sponsor another veteran who will go through the program after you. Hire Served works with multiple employers looking for talent. You can look at our current job openings and send your resume if you’re interested in one of the positions. 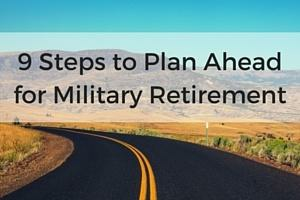 Transitioning from military to a civilian career can be stressful for you and your family. But if you follow these guidelines, you’ll be prepared for success and a true asset to any organization or company you join. For more information about Hire Served, visit www.hiredserved.com. About the Author: Marysa Stevens is an enterprising military spouse dedicated to providing meaningful and effective marketing solutions to small businesses through her company, Stevens Signature Marketing. Marysa actively volunteers with Army Community Service at her family’s current duty station. Marysa has a Bachelor of Arts in journalism from the University of Nevada, Reno.